International cooperation is crucial when it comes to coexistence with wolves. Germany has been a permanent home for wolves about 20 years. However, just across the border in the Netherlands, no single wolf pack settled so far. Nevertheless, the numbers of wolves passing through and observed in the Netherlands are increasing. It is thus important to share the knowledge across borders. Last month, the Dutch wolf platform ‘Wolven in Nederland‘ attended the three day wolf-training in Sachsen-Anhalt. The participants included experts and validators from the platform, but also a lot of volunteers. One of the volunteers, Jeroen Kloppenburg, is specialised in wildlife tracking and documented the event. The venue of the training was in the middle of a wolf territory. 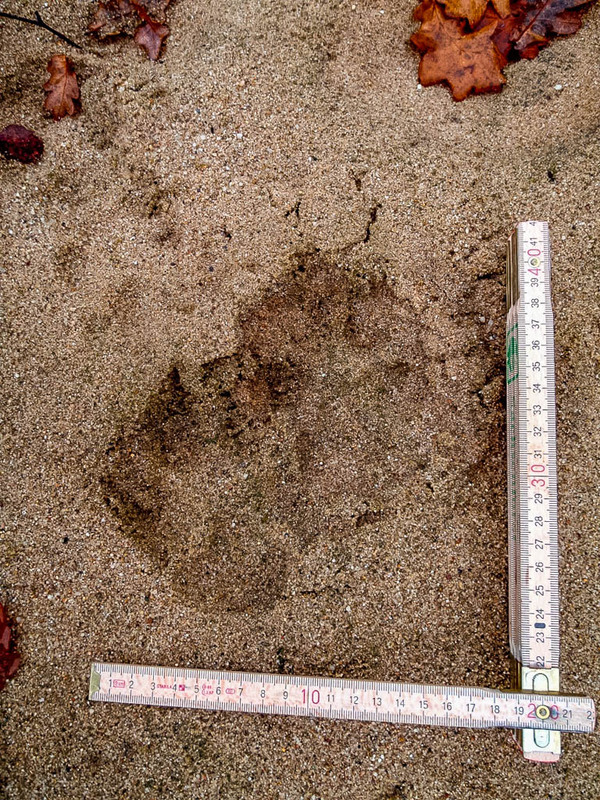 This enabled the participants to put their gained knowledge directly into practice, when tracking and sampling wolf traces. The group also visited a local livestock owner, who uses several protection measures. With electric fences and guarding dogs, the farmer is able to effectively protect his herd in the middle of the wolf territory. Since the implementation of the protection measures, the farmer did not loose a single sheep to the wolves. The wolves are not the only animals that Germany is preparing for. The German Federal Agency for Nature Conservation (Bundesamt für Naturschutz) believes that it will be only a matter of time before the bear returns to Germany.